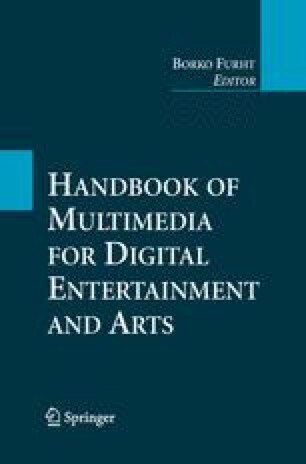 In this paper, we focus on metadata for self-created movies like those found on YouTube and Google Video, the duration of which are increasing in line with falling upload restrictions. While simple tags may have been sufficient for most purposes for traditionally very short video footage that contains a relatively small amount of semantic content, this is not the case for movies of longer duration which embody more intricate semantics. Creating metadata is a time-consuming process that takes a great deal of individual effort; however, this effort can be greatly reduced by harnessing the power of Web 2.0 communities to create, update and maintain it. Consequently, we consider the annotation of movies within Web 2.0 environments, such that users create and share that metadata collaboratively and propose an architecture for collaborative movie annotation. This architecture arises from the results of an empirical experiment where metadata creation tools, YouTube and an MPEG-7 modelling tool, were used by users to create movie metadata. The next section discusses related work in the areas of collaborative retrieval and tagging. Then, we describe the experiments that were undertaken on a sample of 50 users. Next, the results are presented which provide some insight into how users interact with existing tools and systems for annotating movies. Based on these results, the paper then develops an architecture for collaborative movie annotation. This research is supported by the Engineering and Physical Sciences Research Council, grant no. EP/E034578/1. N. Del Conte, “Can eyeOS Succeed Where Desktop.com Failed?,” TechCrunch, 27 November 2006. < http://www.techcrunch.com/2006/11/27/eyeos-open-source-webos-for-the-masses/trackback/ > .